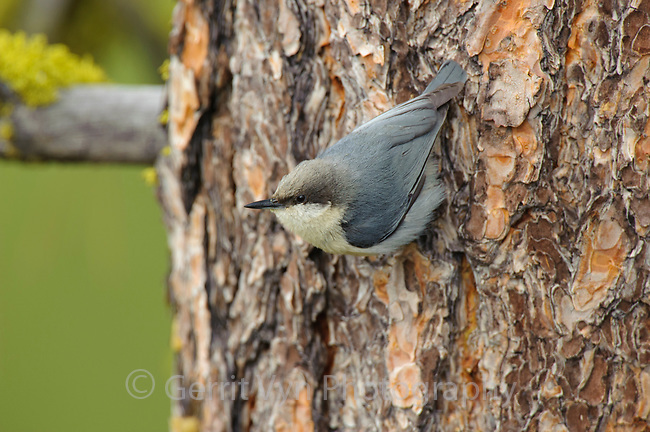 Pygmy Nuthatch (Sitta pygmaea) on ponderosa pine. Yakima County, Washington. May.